Inspired by Sir Richard Grenville (1542 – 1591). 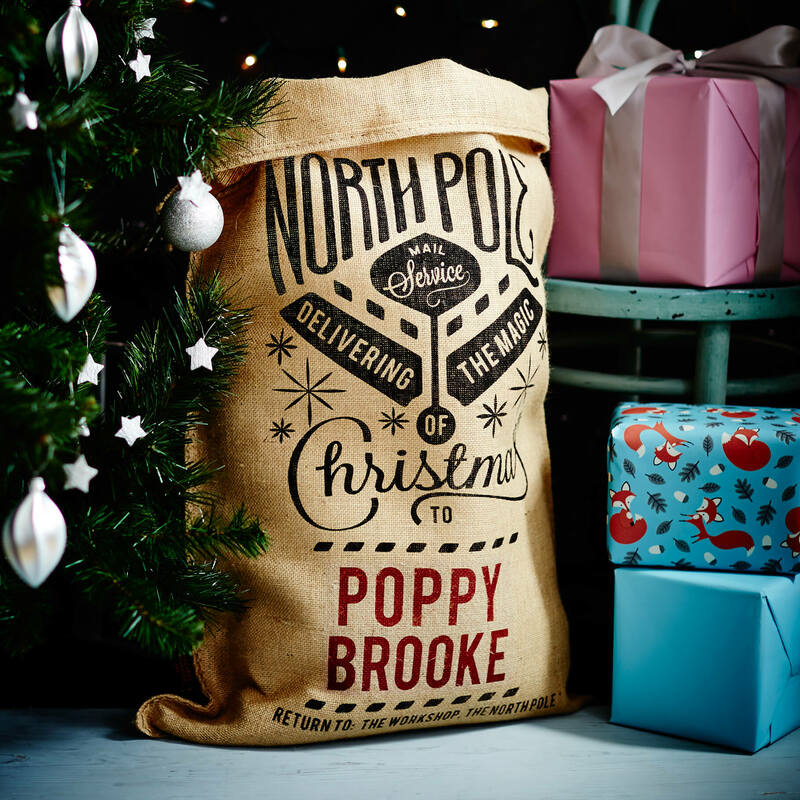 A sprinkling of festive stars feature on this North Pole mail service message. Measuring 80 x 53cm and complimented with one metre of branded crimson satin ribbon to tie round the top of the sack.